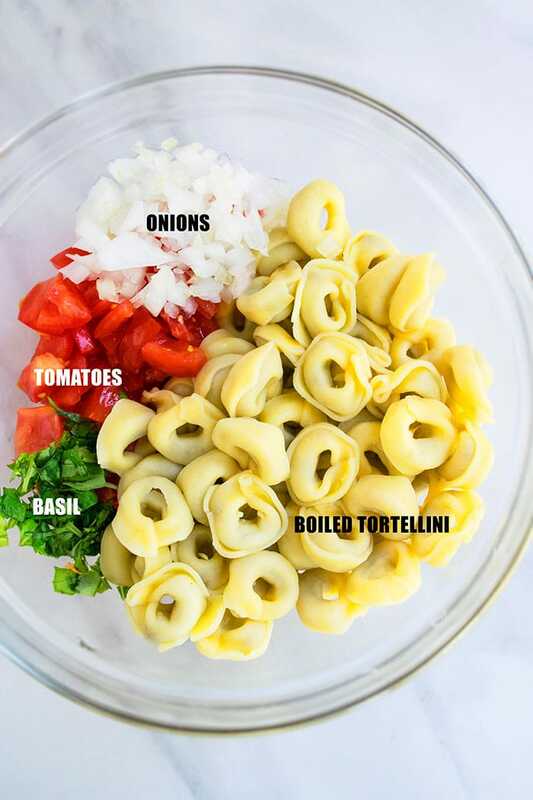 Quick and easy tortellini salad recipe made in one pot or bowl in just 15 minutes with simple ingredients like Italian dressing, tomatoes, onions, basil. 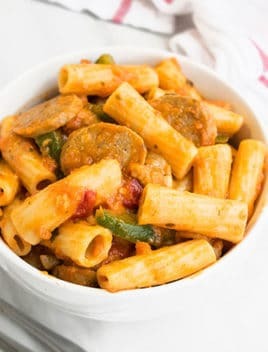 This is a great pasta salad for Summer bbq potlucks. 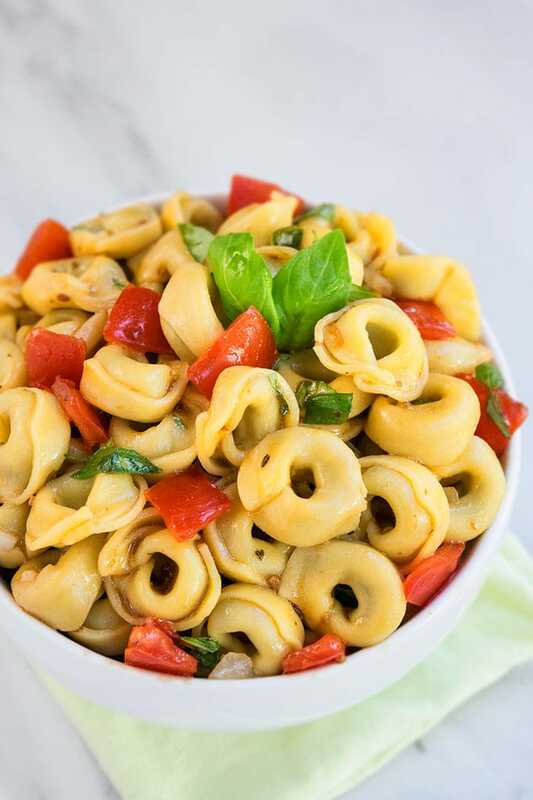 Unlike many other salads, this quick Italian tortellini salad is very filling because of the tortellini pasta. 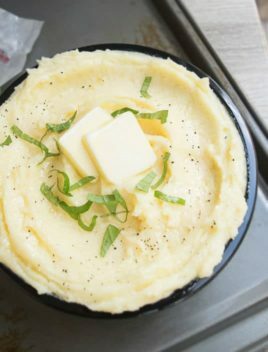 Also, it’s great to make now since the the weather in hitting the 90’s and no one wants to turn on the oven or stovetop…hehe. You can either make homemade dressings from scratch or use store-bought dressings. The most popular versions of this salad that I have seen are made with pesto sauce, Italian dressing (my favorite!) or ranch dressing. You can buy pre-boiled tortellini or buy dried tortellini and boil it at home yourself. Just be sure that it’s cooked al dente. The amount of Italian dressing and even tomatoes and onions can be adjusted, based on your preference. Chilling this salad for at least 45 minutes to 1 hour really allows all the flavors to deepen. This is a cold tortellini salad and doesn’t need to be heated. To make pesto tortellini salad, use pesto instead of Italian dressing. To make Greek tortellini salad, use Greek dressing instead of Italian dressing and also add some olives, cucumbers and feta cheese. To make creamy tortellini salad, use a creamy dressing or you can even use some cream cheese. 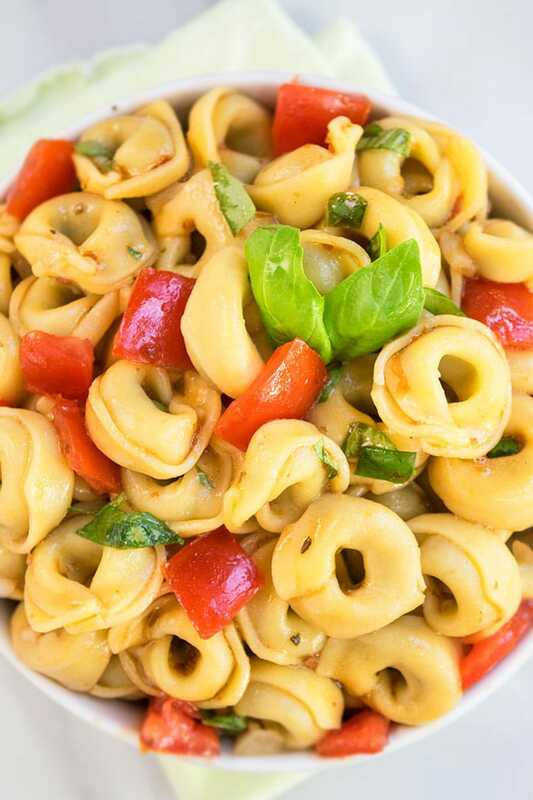 To make healthy tortellini salad/ vegetarian tortellini salad, use a low fat salad dressing and add more vegetables. How to make tortellini salad? Add boiled tortellini pasta, tomatoes, onion, basil, Italian dressing in a large bowl. 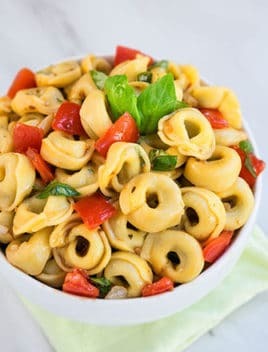 What to serve with tortellini salad? What to put in tortellini salad? How long is tortellini salad good for? It can be stored in the fridge in a sealed container for up to 2 days. 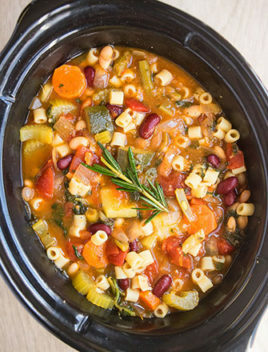 Can you freeze tortellini salad? No, it cannot be frozen. 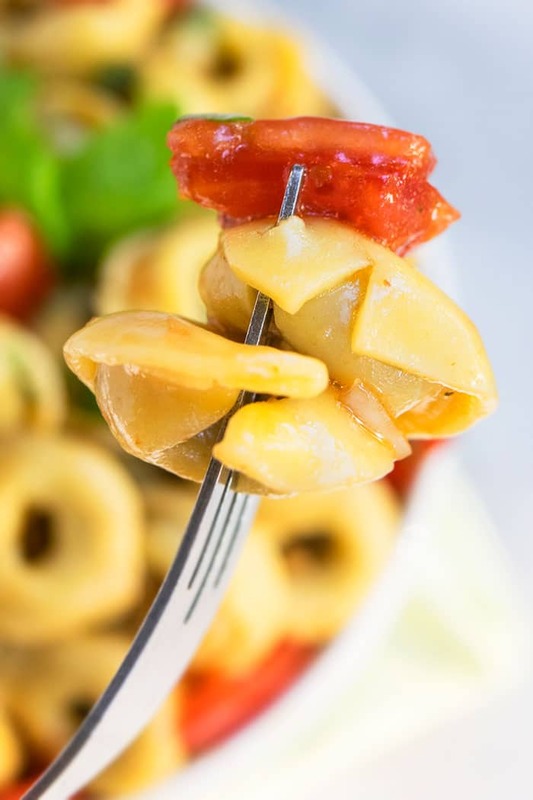 Quick and easy tortellini pasta salad recipe made in one pot or bowl in just 15 minutes with simple ingredients like Italian dressing, tomatoes, onions, basil. 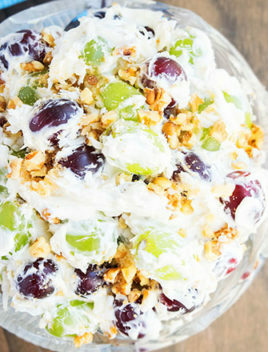 This is a great salad for Summer bbq potlucks. 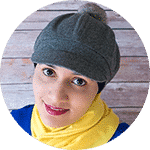 In a large salad bowl, add boiled tortellini (you can use pre-boiled tortellini or buy dried tortellini and boil it at home, according to package instructions). Add tomatoes, onions, basil leaves, Italian dressing, salt and pepper. Cover in saran wrap and chill for 45 minutes to 1 hour so the flavors all marinate together. Serve cold. Add more or less Italian dressing, based on your preference.